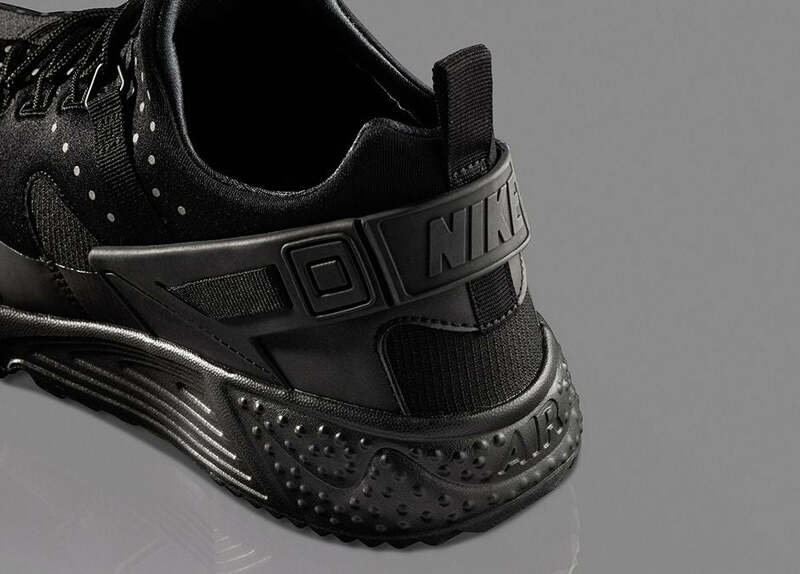 For Fall 2015 Nike introduce a re-imagined version of the original Huarache silhouette updated with modern technologies and materials. 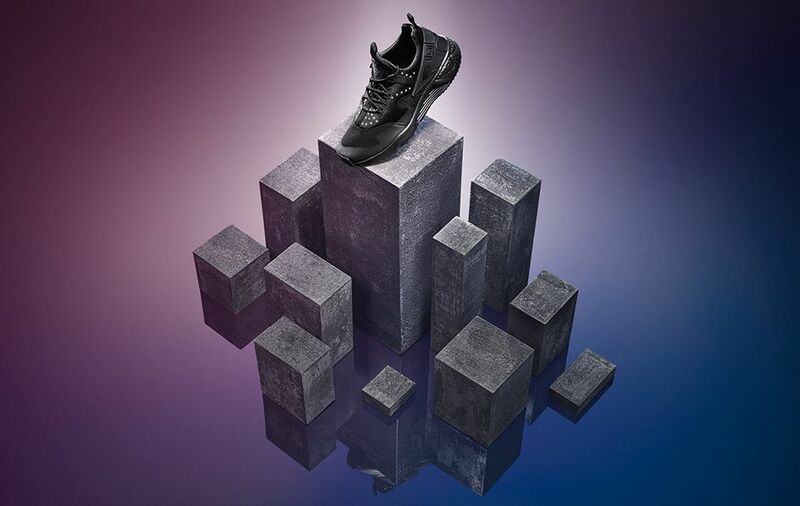 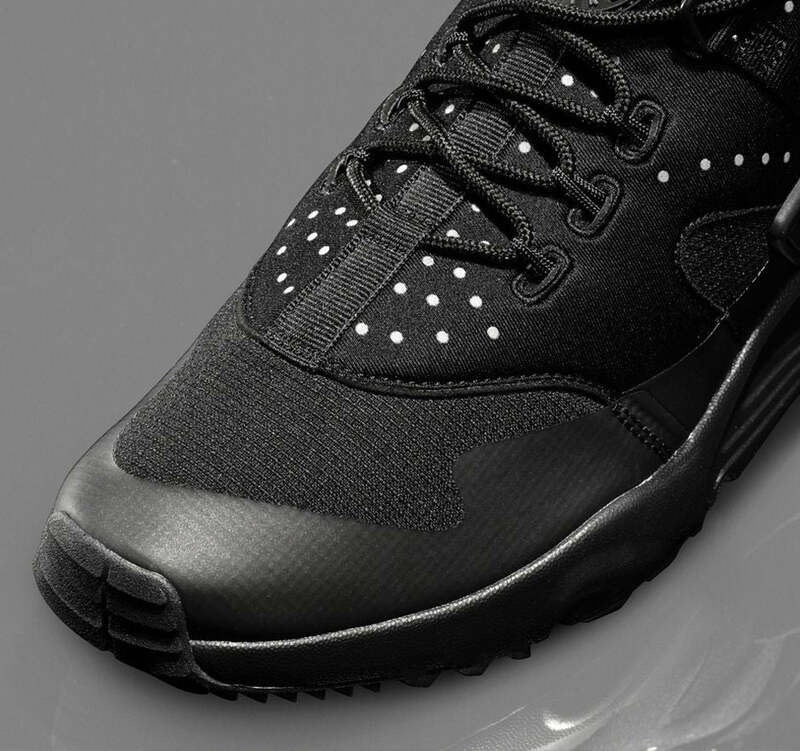 Details include: a neoprene Huarache sock upper which provides foot hugging comfort, a Magwire lacing system for optimum foot securing capabilities meanwhile a fused mudguard provides protection from the elements. 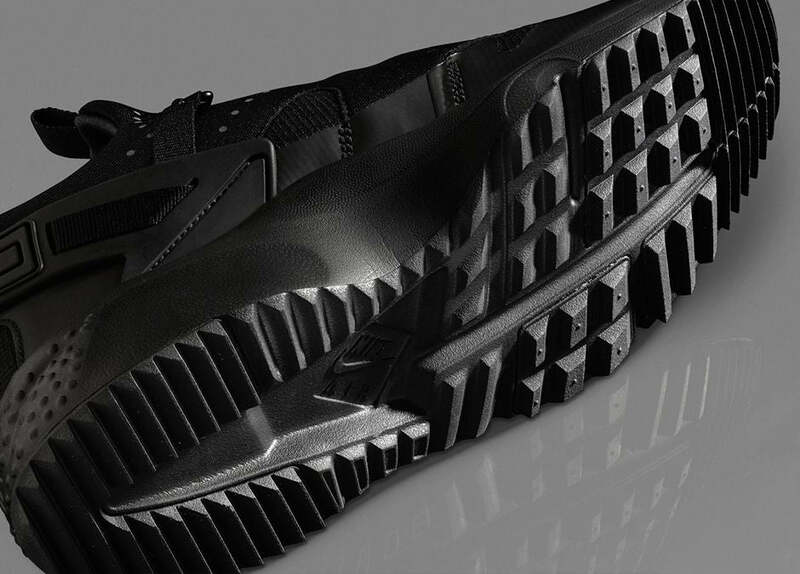 Presented in a triple black colour way and finished with reflective 3M accents.